All modifications must be done by a qualified pump technician otherwise damage could result, excessive heat/smoke could be generated and/or poor performance may occur. Commonly known as a “cam plate”, BD’s Fuel Stop Plate controls the rack travel, which affects the amount of fuel the Bosch 7100 fuel pump delivers. Six different ramp designs enable power gains from 30 to 150 hp and 70 to 300 lb.-ft. of torque. A calibrated boost tube orifice is included to improve turbo performance. Requires disassembly of fuel pump. BD’s High RPM Mechanical Governor & Delivery Valve Kits can give you the power and torque you’ve been looking for. 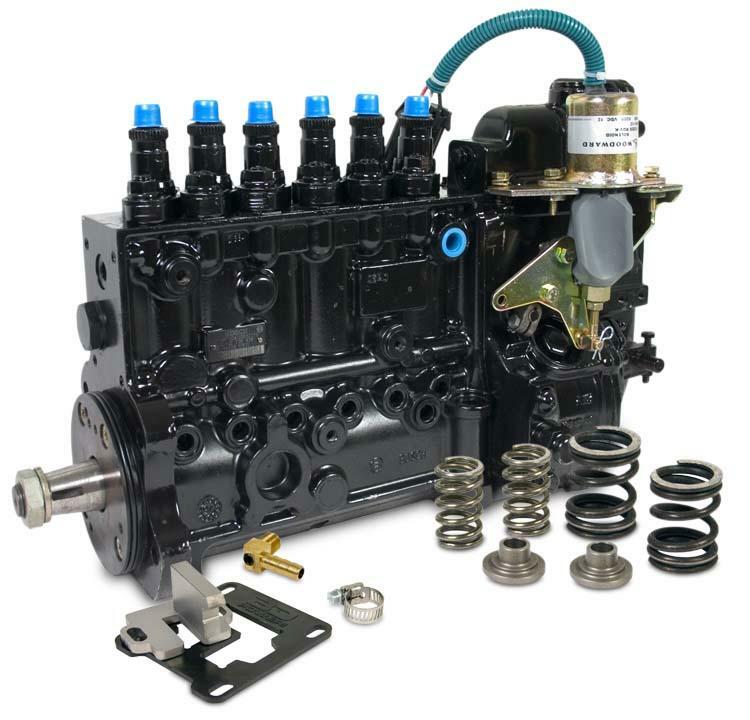 The High RPM Mechanical Governor Kit increases the Cummins engine speed to 3,000 or 4,000 rpm, reducing gear shifting and providing a new high in horsepower levels. The Delivery Valve Kit yields optimum pump output without replacing plungers and barrels. These kits replace key components in the P7100 Bosch pump on 1994-1998 Dodge-Cummins applications and as such are not for a home install! Only a qualified technician with P7100 training should perform this work, or send it to us and we can complete the modifications for you.